There are only no more than 10 countries produce peanut as commodity, in the main producers India and China cultivation area and the production are the largest, there are more than 100 countries in the world that produce peanut, Asia is most general, and Africa is in the second place. The peanut is annual herb plants. Originated in South America tropical and subtropical, in the sixteenth century or so was introduced into China, now it is planted all over the country. Peanut is one of the high quality edible oil major raw materials as leguminous crops, it is also known as groundnut. Peanut has a high nutritional value, contains rich fat and protein. According to assay the fat content is 45%, protein content is 24-36%, sugar content is 20% or so, and contains many kinds of vitamins, such as thiamin, lactoflavin, nicotinic acid and so on. Peanut is also very rich in mineral, especially contains amino acids which is essential for human and is helpful to promote the development of brain cells, strengthen the function of memory. Being as one of the traditional foods for most people, studies find that peanut has some medicinal value and health care function. The zinc content of peanut is higher than other oil crops. Zinc can promote children's brain development, strengthen the memory of brain function, activate the brain cells of old people, effectively delaying premature aging of the human body, has anti-ageing function. There is a lot of linoleic acid in peanut oil, this kind of material can make cholesterol in the body into bile acid and excrete, avoid cholesterol deposition in the body, reduce the incidence of a variety of heart cerebrovascular disease caused by cholesterol. Calcium content is rich in peanut, it can promote children's skeleton development, and prevent bones degenerative diseases of the old occur. The edible method of delicious peanut is absolutely more than just eating the kernels. Peanut butter made from high quality peanut as raw material, which is a product of toughness mushy stool, have full-bodied fried peanut fragrance. 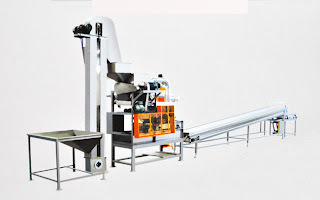 According to the different tastes, a crunchy variety is also available in addition to the really smooth peanut butter.Peanut Machine is mainly the same as smooth peanut butter,the only difference is that a generous amount of roasted peanut (1mm to 2mm in diameter) is blended into the prepared mix to give the final product a crunchy texture. While making it a bit more difficult to spread, it offers a more natural peanut flavor than traditional smooth peanut butter. The high quality peanut butter is commonly shallow ecru, exquisite, bouquet and impurities, it is a nutritional value table food and is widely in western food. We can eat peanut butter directly, spread it on toast or stir it in noodles. 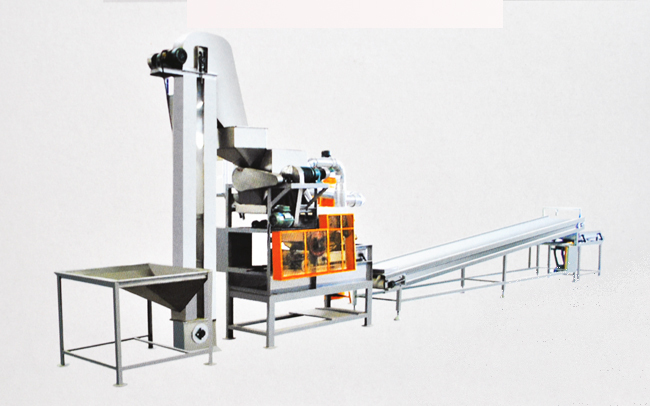 Peanut Halving Machine has been used in other food products for quite a long time. There has been large development of peanut butter's use in other foodstuffs, some of which include cake, jam, jelly, confectionery, ice cream, brownies, pretzels, peanut brittle, cookies, porridge, and sandwiches, amongst others.